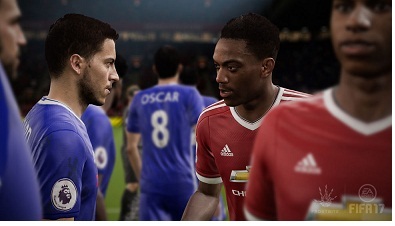 The demo version of the FIFA 17 allows you to play the last half hour limited time. In this guide we will show you a simple trick that allows you to get more out of the demo and play the game extended time on your PC. A simple change in value in the INI file of the demo will make it possible. - First you have to locate your INI file. This is located in the "Origin Games" folder. - Here you can find the folder “FIFA 17 DEMO”. There in the subfolder you will find "Data" file "Locale.ini". - Open the file with any text editor. - Now you have the code below right after the first entry “FIFA_DEMO = 1“ enter and save the file. In the example we have chosen the maximum half length of 15 minutes. Of course you can choose to change this value. Simply change the corresponding number. If you want to reset the half length back to the default, either change the value entered in the INI file or make a backup before the change. Unfortunately, there is a negative side-effect in the mid-term extension. Since the condition of the players in the demo is still limited to four minutes the players go on longer half times quite fast out of steam.